First, we would like to thank Jérôme Sandarnaud, Objectis project leader. He has passed so much time to make this service usable. Thanks, Jérôme ! We also wish to thank Damien Baty, and Robert, Phil and Paul for their support. Note that the idea of providing Plone accounts was pushed by Paul on IRC. In the beginning (end of 2002 and beginning 2003), Objectis was meant to be a free Zope hosting service with the goal of assuring the global promotion of Zope and offering a test platform for users to evaluate the technology. This was similar to the model of our peers, FreeZope. It was at this period that an ingenious systems was put in place to dynamically manage le sub-domains of objectis.net. The service was officially lauched on the 3rd of October, 2003. The site was then available in two languages, French and English, with the addition of Russian by the 30th of October. The launch was very well received indeed, with almost 50 accounts created in the first 24 hours. The statistics started around 62 visits a day and rose to 169 by November 2003, only a month after the launch. We host 2480 accounts, of which 1700 are in Plone 1 et 340 in Plone 2. The statistics keep rising with 430 daily visits to the objectis.org site and 2300 daily visits to the various user sites on objectis.net. Roughly 50 sites are modified each day. Six instances are dedicated to this service: one Zope instance, four Plone 1 instances and one instance Plone 2. The forum was initially built around the newsitem object of Plone. We quickly decided to put a more robust solution in place. The forum has, over time, become a great asset of the service. The response time by the support team is nearly always less than 12 hours. 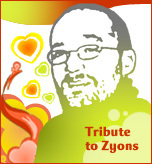 The forum was originally dedicated to questions about Objectis only and we would reject questions about the technology in general, that is to say questions about Python, Zope and Plone. Faced with the obvious need of the users, the forum has become an open discussion arena for the French and international communities. In addition to the French forum, questions are being posted to the English, Spanish, German and Chinese forums. Implementation of Plone 2 was to have been fast and easy, as soon as the official launch by the Plone Team. However, an unexpected problem appeared whereby the manager of a Plone site would lose all his permissions until the instance was restarted. In spite of this 340 Plone 2 accounts were created during this period - and this in spite of a warning writ large on the main Objectis page announcing that Plone 2 accounts were at risk of being restarted at any moment during the troubleshooting of the bug. This situation has shown the community's impatience to test, evaluate and deploy Plone 2 solutions. Today, thanks to the help of Phil Auersperg and Jérôme Sandarnaud, the problem is fixed. Opening a Plone 2 account is now open and working properly. For more information about the changes coming to Objectis, please post to the forum or contact David Sapiro. Thanks to the translators of the site. You can read this because someone translated the contents in your language (or something near). Brasilian translation : Fabio Rizzo (visit www.fabiorizzo.com) and Erico Andrei (visit www.simplesconsultoria.com.br), many many thanks for their great job.